Integrate your business end to end with our cloud offering. 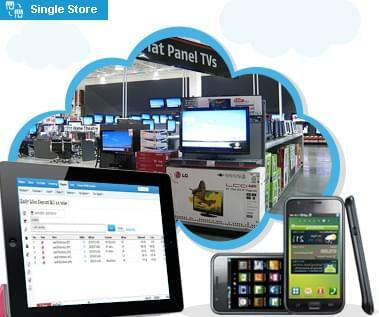 Manage your serialized inventory with a perfect solution on cloud. You can also automate sales, take timely decisions with business intelligence, manage customers with CRM, integrate financial accounting and more. Streamline your store activities such as booking of sales orders, delivery status tracking, elimination of redundant entries by integrating entire sales process(Quote, SO, DN and invoice), etc. Handle your White Goods, Consumer Electronics, Mobile Shops, Home appliances, PC & Laptop hardware/accessories with Cloud POS system.